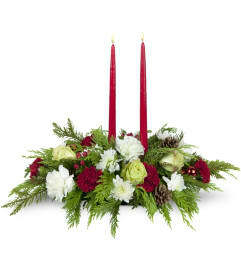 FTD® proudly presents the Better Homes & Gardens® Holiday Wishes™ Bouquet. 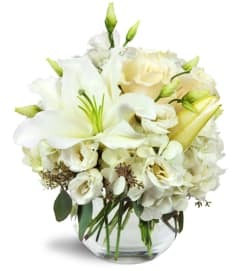 Come home for the holidays with this simply stunning fresh flower bouquet. 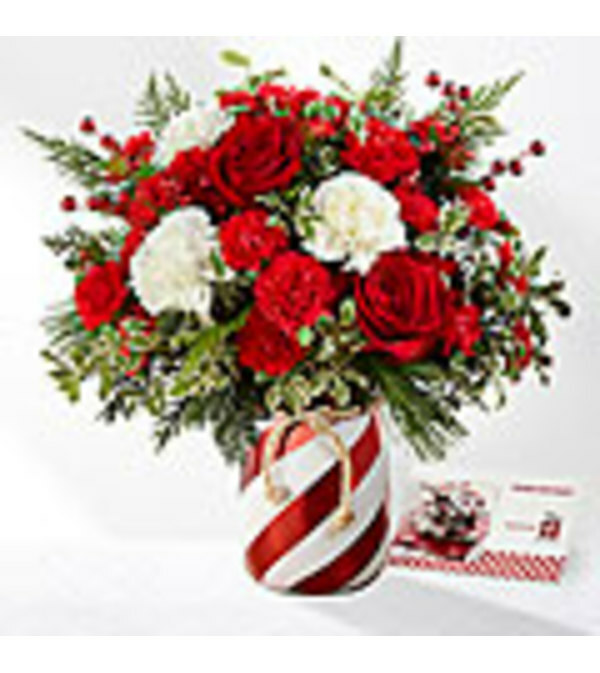 Rich red roses and mini carnations create a splash of Christmas color accented with white carnations, berry pics, and fragrant holiday greens. Presented in a red and white striped candy cane inspired shining ceramic vase tied at the top with a natural rope accent to give it that down home feel, this gorgeous holiday bouquet is ready to send your warmest wishes to friends and family throughout the yuletide season.